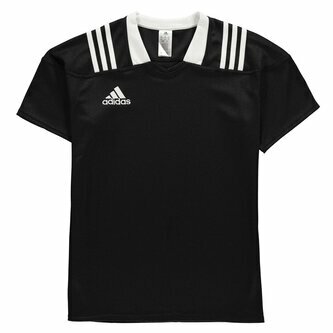 Put your all into the action and improve in every aspect of the game when you pull on this adidas Team Wear 3 Stripe S/S Fitted Rugby Shirt in Black and White. This shirt has been designed to offer the wearer with a durable jersey which will stand up to the rigours of a contact sport. Made with a skin-tight fit which flows with the shape of the body to ensure competitive comfort all session long.